What better way to understand mechanical engineering than look through the eyes of a practising engineer and educator. We did just this when we sat down with Professor Gangadhara Prusty from the University of New South Wales, Australia. In one of our most long distance interviews to date, we asked Professor Prusty about his career, his interest in mechanical engineering and his years as a teacher. For all those aspiring engineers who are worried about entering (or re-entering) the classroom, have a read of this. 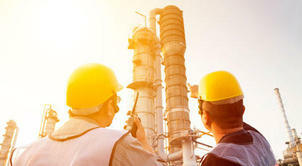 First things first, how did you get to where you are today, have you always been interested in mechanical engineering? I have been in the teaching profession for over 25 years. On completion of my undergraduate and postgraduate qualifications in engineering, I worked in the engineering field for two years prior to my teaching job. Always engaged in teaching mechanics related courses, it has been my passion to develop interdisciplinary research and find solutions for real-life engineering challenges. What training or qualifications did you need to get your job? I have acquired a PhD in Structural Engineering and had many years of teaching experience at both an undergraduate and postgraduate level. What is the most interesting part of working as a mechanical engineer? As an engineer, they have to deal with the design of stationary or moving objects such as; buildings, bridges, engines, machines, robots etc. The most interesting part of working as an engineer is dealing with the real life situations, either to design a structure or component, investigate the failure or cause of failure in a structure or provide recommendations for structural health and safety by carrying out a detailed analysis. All the above need a conceptual understanding of basic engineering mechanics and typically require ‘engineers’ eyes’. We are in an era where we have seen significant development of advanced materials, therefore enabling us to rethink how structures can be designed alternatively to save materials, cost, ensure safety and overall encourage sustainable design practice. Good answer, with this in mind, how do you think the industry has changed over the years you have been teaching? The industry has welcomed the recent developments in sustainable materials, engineering innovations and the creative thinking of 21st century net-gen engineering graduates. It has moved from labour intensive manufacturing to automation while being mindful about the environment, safety and integrity of engineering structures. Recently I completed a joint project through Cooperative Research Centre for Advanced Composite Structures (CRC-ACS) with eight other national and international partners. The aim was to develop retrofittable technologies and integrated design methodologies for the Australian Defence Force (ADF), to improve the crashworthiness of aged aircraft and rotorcraft. With my research students, we developed novel energy absorbing retrofittable components using advanced composite materials that can increase energy absorbing performance substantially. That’s amazing! What made you decide to teach your skills? My aim is to inspire and motivate students. I derive satisfaction in teaching young, bright and enthusiastic students who are thirsty for new knowledge. Sharing my experience on research projects with the students provides me an opportunity to inspire the students. The exchange of ideas in large class teachings helps the students to understand the engineering world from first principles. In your experience, what do beginners struggle with most when first studying mechanical engineering? Often undergraduate engineering students struggle with basic concepts of mechanics, an issue of major importance raised by academics in most engineering schools. With the demand for new graduates in the industry and an increasing interest in engineering studies, students enter through more flexible pathways into large classes where it can be difficult for the teacher to identify the struggling students and help them. The struggle has always been on the understanding of fundamental concepts of engineering mechanics which stems from Physics and Mathematics. Students are struggling with threshold concepts, i.e. understandings that transform students’ thinking irreversibly. Once acquired, these concepts can seem to be simple and self-evident. Yet without them students are unable to progress to more complex analyses in engineering. In your opinion, what are the most important qualities needed to succeed in the mechanical engineering industry? Do what you love and do it well. Believe in yourself and don’t be afraid of trying new things. There may be challenges ahead but be prepared to learn from failures. Be creative and engage yourself towards interdisciplinary thinking. Find a relationship to understand the engineering world through different disciplines of science and engineering. If you are ready to take your first steps into the mechanical engineering industry, why not enrol on a course and learn the skills to take you to the top? To learn from Professor Gangadhara himself, take a look at his introductory course ‘Through Engineer’s Eyes’ on Futurelearn.